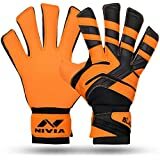 Every goalkeeper is the last line between victory and defeat. 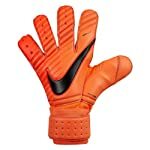 And a pair of good quality goalkeeper gloves can make sure they’re up to the task. 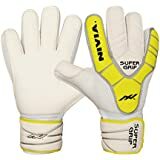 Whether you are just an amateur or you play football at the highest standard, at Amazon India, we have a pair of goalkeeper gloves for every keeper. From the grassroots to the Champions league, our gloves are made for keepers of every standard. 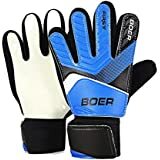 Put the maximum amount of control between your hands and the ball with goalkeeper gloves from Amazon India. 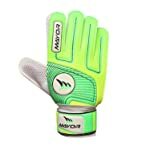 Goalkeeping is all about confidence and when you've got your best pair of gloves on, you're ready to win the game. 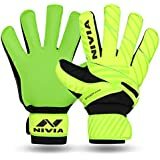 Amazon India has a full range of goalkeeper gloves from big brands like Nivia, Cosco, adidas, Vector X, Puma, UHL Sports, Slazenger and many more. 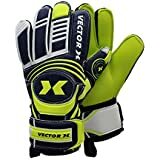 With modern technology in the palm, wrist, back of the hand, and inside of the glove, these brands have created some of the best gloves in the world. 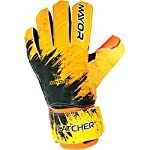 They are meant for specialised grip, control and durability. 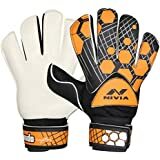 Amazon India’s huge selection of goalkeeping gloves allow you to discover a wide range of styles and designs offered by the best brands. 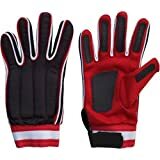 We offer a choice of different cuts, foam types and strap closures and let you get a perfect fit for your hands. 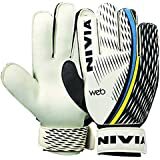 Goalkeepers are often unsung heroes of the beautiful football game and their most important piece of kit is a pair of gloves. 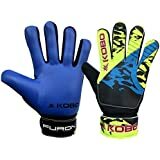 Goalkeeper gloves help make sure that the ball doesn't get past you. Amazon India brings you goalkeeper gloves which have the best grip, the best fit and the most durability within your budget. 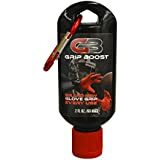 You can keep your fingers safe with a unique fingersafe design option that stiffens fingers and resists pressure when pushed back. 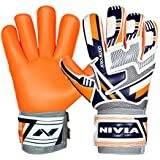 At Amazon India, we have a host of gloves for all sorts of conditions and keepers’ needs. 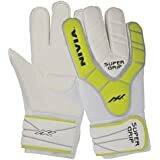 Whether you’re after excellent finger protection, superb grip, warmer gloves for the colder months or just a great allrounder, we've got it all covered here. 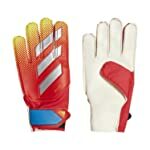 When it comes to goalkeeper gloves, bright colours are in. 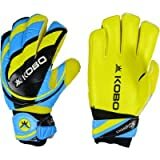 Pink, blue, yellow and white all make it on to the gloves. 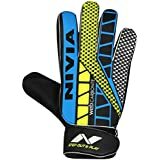 These gloves help make you more confident in goal, purely of how they look. Big yellow palms will help to distract forwards who take that last little peek before striking a ball at you. The orange, black and blue capture your eyes and your hearts immediately and make your final cut. 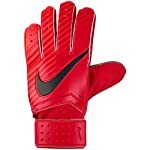 Simple is always attractive when it comes to gloves as well. 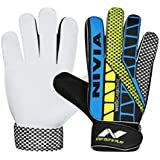 Therefore, white gloves with a black pattern in the backhand looks equally great. 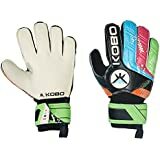 Each and every brand is adding spice and variety to their gloves, perhaps to keep up and compete with the numerous other brands who are rolling out the options. And you can find them all under one roof at Amazon India. 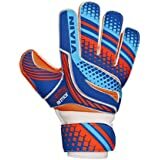 Whatever be the brand or style, Amazon India has it all to suit the preferences of different goalkeepers.